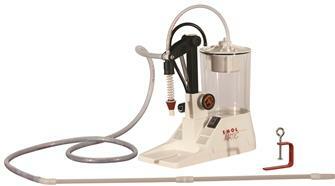 Electric pressure bottle filler with automatic stop. Filling kits for phials, miniature bottles and jars. Fills up to 300 bottles per hour and stops automatically when the liquid reaches the chosen level. Now you can filter and bottle at the same time. 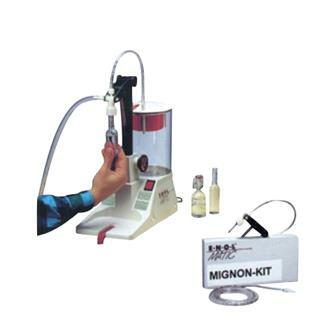 Kit for miniature bottles for pressure filling machine. 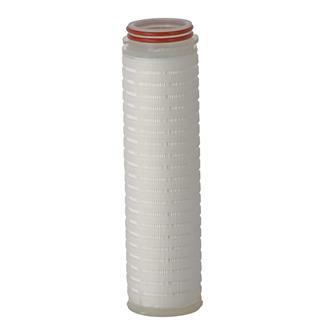 Plastic capsules 0.45 microns for filter. Plastic capsules 1 micron for filter. Plastic capsules 5 microns for filter. 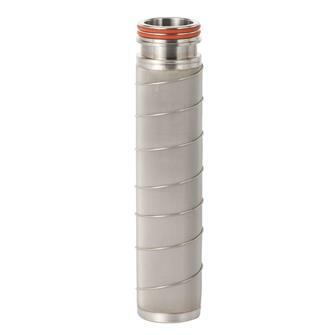 Stainless steel capsules 5 microns for filter. Stainless steel capsules 10 microns for filter. 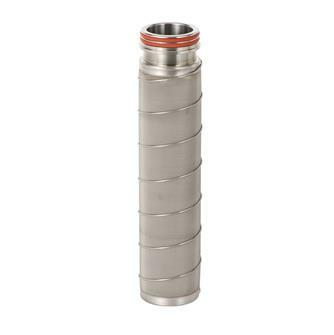 Stainless steel capsules 50 microns for filter. Milk kit for pressure filling machine. 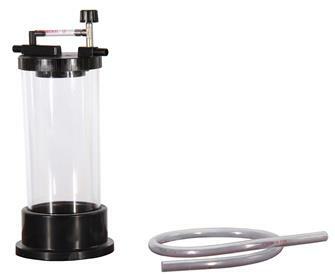 Jar kit for pressure filling machine. Feeding tube for hot liquid. 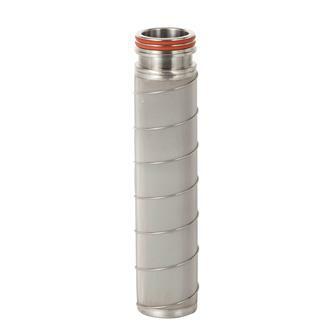 Pressure connecting hose for hot liquid. 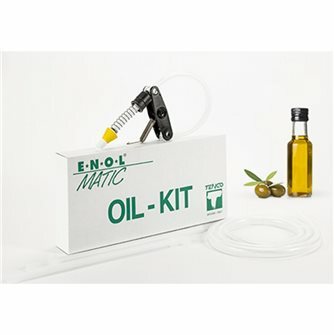 Oil kit for vacuum filler.